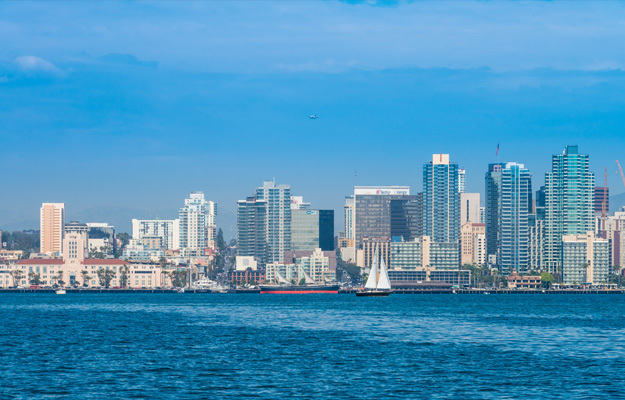 For first time visitors, the challenge of San Diego is that it has it all: gorgeous climate, a big, beautiful bay and scenic bayfront, interesting neighborhoods, a spectacular coastline, beaches, boardwalks, parks, museums, and nightlife. The following categories with options in each focuses on the highlights. Get the big picture on an interesting, engaging narrated Old Town Trolley Tour. Do it two ways – all at once, or in segments. 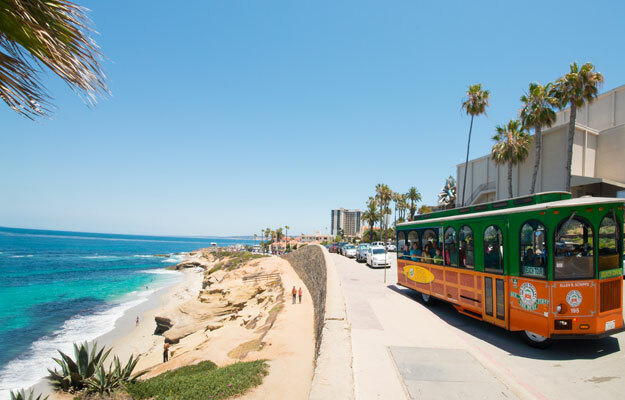 San Diego is spread out over a large area, and on a 2-hour loop tour, without using the trolley’s hop off/hop on option, you’ll cover a lot of ground, 25 miles of it, and see all the signature sights and places. Or, to visit places along the way, hop off to explore around any of the 11 stops along the route. Just want to see the area around downtown and the bayfront? Glide around the Embarcadero, the Bayfront and the Gaslamp Quarter on a fun, narrated San Diego Segway Tour. The 1.5-hour experience (includes training) is super fun and great for families with teens. Old Town: Tucked on the hillside overlooking downtown and Big Bay, Old Town was this site of the original Spanish settlement. It has a distinct Old World Spanish and Mexican ambiance, numerous historic sites, streets lined with restaurants, many with outdoor seating serving good Mexican cuisine, shops, and many selling handmade south-of-the-border items. Old Town San Diego State Park has a collection of old houses, originals, and reproductions, of the period between 1821 and 1848. 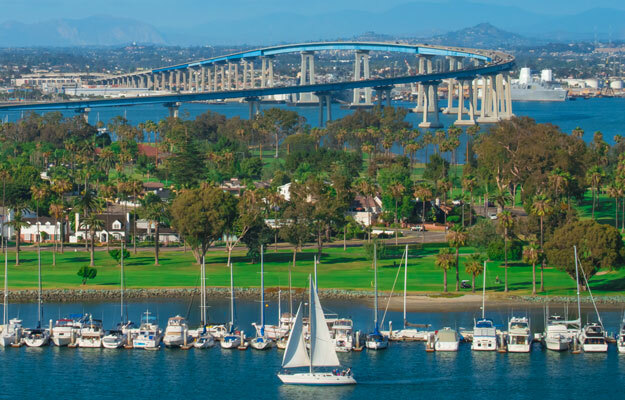 Coronado: Take in spectacular views of North Bay and South Bay while crossing over San Diego-Coronado Bridge on the way to the beachfront community of Coronado. Walk along Orange Avenue, lined with shops, restaurants, and galleries. Have lunch at historic Hotel Coronado. Be sure to walk over the glittering white sand along Coronado Beach boardwalk. Gaslamp Quarter: The place for nightlife, entertainment, shops, trendy boutiques and art galleries. Walk, enjoy great views, and visit interesting attractions along this stretch of San Diego’s picturesque Big Bay. Maritime Museum: Board and explore one of the world’s finest collection of historic ships. Some event take tours! Check out maritime exhibits focusing on San Diego’s important maritime industry, past and present. USS Midway: Jump at this chance to tour the longest-serving Navy aircraft carrier of the 20th It’s like walking through a floating city! Seaport Village: Walk through this shady Bayfront area with fabulous bay views, shopping and places to grab a bite to eat. There’s a lot to see in Balboa Park, San Diego’s 1600 acre signature park, and cultural center. Highly ornamented Spanish Renaissance buildings, constructed for the 1915-16 Panama-California Exposition, house a diverse selection of 15 museums: Museum of Man (anthropology), San Diego Museum of Art and Timken Museum of Art (Fine Art); San Diego Arts Institute (works of contemporary and emerging artists); Natural History Museum (natural world); Reuben H. Fleet Science Center (science and the universe). The San Diego Zoo is here too! 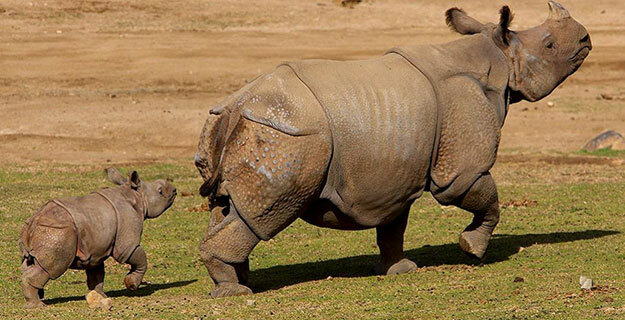 Explore the 100-acre zoo, landscaped into walkways and bridges leading to distinct habitats recreating the natural environments of over 4000 animals from around the world. The Children’s zoo is perfect for little ones; the Giant Pandas are everyone’s favorites. Walk the park or ride through it on a narrated bus tour with 5 stops along the way. Or, view it all from above on a Skyfari Aerial Tram. 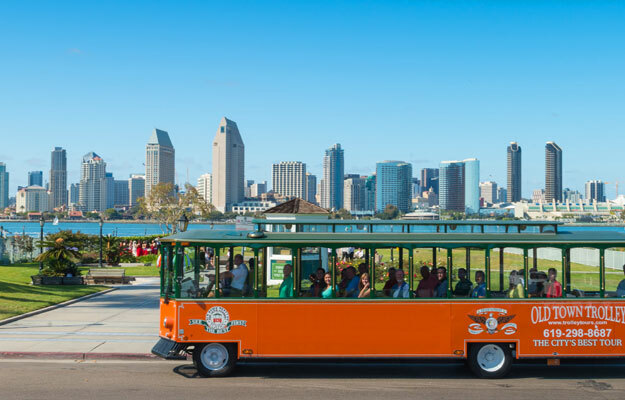 SEAL (Sea and Land) Tour: See San Diego by land and by sea on a super-fun 90 minute narrated tour aboard big, blue amphibious vehicles. Rumble through San Diego streets way above traffic level before splashing down into the Bay for an amazing cruise. The water and surrounding views are awesome. There’s lots of cool stuff to see, especially sea lions sunning and frolicking on floating bait cages. Whale Watching: A visitor favorite, it’s a chance to see magnificent migratory whales plus sea lions, dolphin and birds on a seasonal basis. San Diego Winter Whale & Dolphin Watch goes in search of the migrating Gray Whales, Dec- March; San Diego Summer Blue Whale Watching Adventure heads out in quest of Blue Whale sightings from the end of June to Sept 1. Cruise Big Bay: Several sightseeing cruise companies offer numerous cruising options of North Bay, South Bay or both. Hornblower Cruises had as wide selection: 1 & 2 Hour Harbor Cruises, Brunch & Dinner Cruises, even a seasonal (May 1-Oct 31) Sights, Sips & Sunset Cruise. San Diego Harbor Cruises has similar offerings. San Diego Sailing Tours’ 2-hour Pleasure Tour keeps it intimate allowing only 6 passengers per tour. San Diego Bay Cruises is a private yacht charter network of yachts and boats of all sizes offering private tours. Don’t leave San Diego without seeing SoCal’s breathtaking shoreline and beaches. The place to experience it: the quaint village of La Jolla, perched on a high rocky promontory over the Pacific with Mt. Soledad as a dramatic backdrop. Technically part of San Diego, it’s a 25-minute drive on I-5N from downtown. Let someone else do the driving on the La Jolla & San Diego Beach Tour. Starting in Old Town, it travels past Mission Bay, climbs to the top of Mt. Soledad for fabulous 360° panoramic views, heads down into La Jolla, where you can get off to experience the charm, shop boutiques, enjoy lunch with dramatic views. Walk to the Children’s Pool, rent a kayak for a paddle around La Jolla Cove. Hop back on the trolley for a breathtaking coastal ride past beach towns of Pacific Beach and Mission Beach for another fun hop-off option at Belmont Park, one of the oldest of California’s iconic oceanfront amusement parks. Seaworld, minutes from downtown San Diego, is a total immersion into the undersea world. 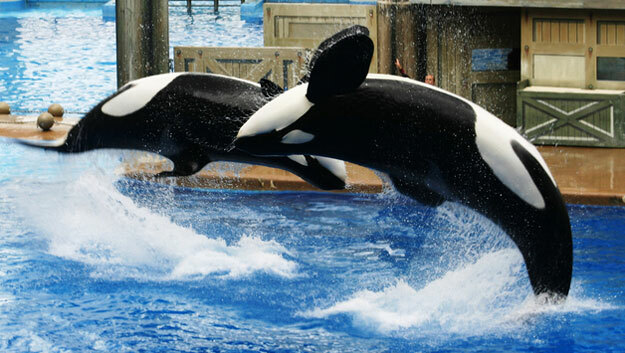 Experiences include sea animal exhibits, encounters, shows, and rides. LEGOLAND California Resort, located in Carlsbad, a 40-minute drive from San Diego up I-5N, is a fave of kids 2-12. Check out these packages: San Diego Legoland, Legoland+Sealife Aquarium Hopper and Legoland Resort Hopper (Legoland, Aquarium + Water Park). Little Italy, with its impressive selection of smaller restaurants with great chefs creating super-tasty menu selections, is the center of San Diego’s culinary scene and a favorite of foodies. Gaslamp Quarter has a trendy vibe, good restaurants choices, rooftop lounges, and entertainment venues. During California’s Gold Rush/Wild West days, the area was wild and raunchy, and a fun way to find out all about that era and sample food and drink along the way is on Brothels, Bites and Booze walking tour. For fun evening in Old Town sampling tasty Mexican food and drink with a visit to a ghostly site or two thrown in, check out Tequila, Tacos, and Tombstones, an Old Town Culinary and History Tour. Both tours last 2.5 hours, from 5:30 – 8:00 pm. Discover the dark side of San Diego on a 75-minute Ghosts & Gravestones Tour of San Diego. Along the way, costumed, professional storytellers will introduce you to the ghastly, the ghostly, and maybe an orb. Who knows who you’ll encounter in the El Campo Cemetery or the Whaley House Courtyard.